Grounded theory (GT) is founded on the premise that underlying social patterns can be discovered and conceptualised into theories. The method and need for theoretical sensitivity are best understood in the historical context in which GT was developed. Theoretical sensitivity entails entering the field with no preconceptions, so as to remain open to the data and the emerging theory. Investigators also read literature from other fields to understand various ways to construct theories. To explore the concept of theoretical sensitivity from a classical GT perspective, and discuss the ontological and epistemological foundations of GT. Difficulties in remaining theoretically sensitive throughout research are discussed and illustrated with examples. Emergence – the idea that theory and substance will emerge from the process of comparing data – and staying open to the data are emphasised. Understanding theoretical sensitivity as an underlying guiding principle of GT helps the researcher make sense of important concepts, such as delaying the literature review, emergence and the constant comparative method (simultaneous collection, coding and analysis of data). 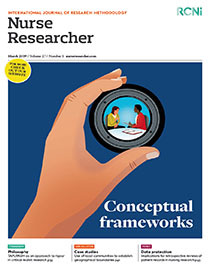 Theoretical sensitivity and adherence to the GT research method allow researchers to discover theories that can bridge the gap between theory and practice.